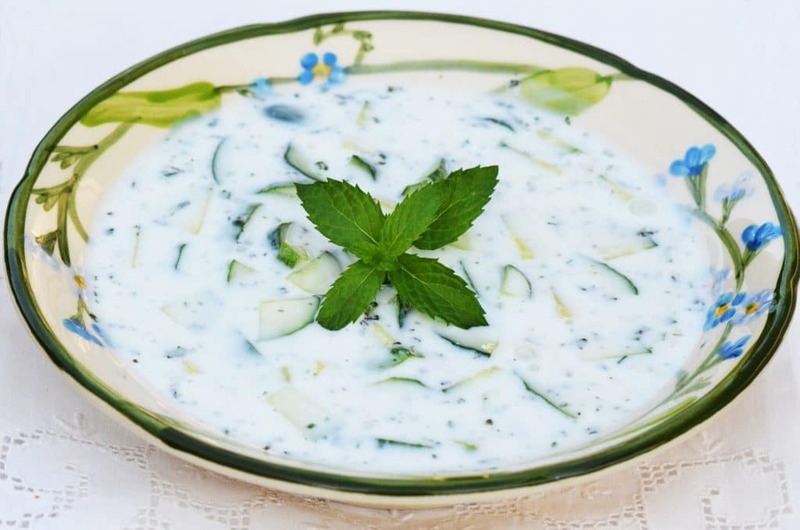 Laban khiyar, or yogurt-cucumber salad, is a healthy, cool and refreshing Lebanese favorite — perfect with kibbeh, grilled meats and vegetables, tomato salad . . . or simply on its own. 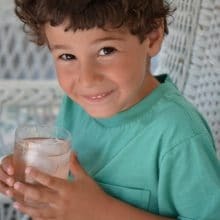 This is one of the first posts made on this blog, with a recipe that is integral to the Lebanese table. 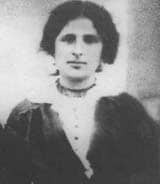 When I’ve envisioned the story of my grandmother’s arranged marriage in Lebanon, and her immediate, teary-eyed departure to the United States with her new husband, one of the more lighthearted among the many serious thoughts I’ve had about her journey is that she carried with her the makings for laban (pronounced LUH-bin). 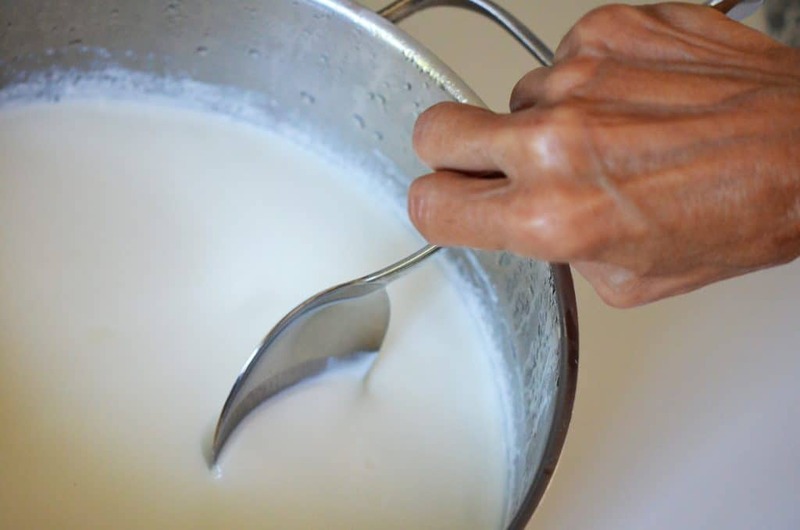 Laban, which is simply yogurt, is on the table as a savory accompaniment for most every Lebanese meal (breakfast, lunch, dinner) and it’s made using a culture—a starter, or rawbi—from the last batch of yogurt. Back when Nabeha, that grandmother who in fact I never had the good fortune to meet because of her untimely death at the age of 49, started up her own kitchen in Michigan after leaving Lebanon, I like to think that she brought some of her mother’s rawbi with her so that she could make good laban here. It might have survived the boat ride over without refrigeration, and it would have given her a connection to her home, to her mother, to the life she left behind at the tender age of seventeen. She didn’t want the marriage, didn’t want to go to the United States, and didn’t want to leave the boy she was in love with behind. She cried rivers. Her father felt pangs of regret for forcing the arrangement with such swift certainty upon the inconsolable Nabeha, so he sent her little brother with her to the United States as a solace. I wonder how his wife felt about that. Probably he slept on the couch for the remainder of their lives. But I digress. This is a story you’ll want to hear and I’ll want to tell, but it is a story for another day. If Nabeha brought with her and used her mother’s starter to make her laban, and then if her daughters (let’s face it, the men didn’t make the laban) used starter from their mother’s laban to get their own line of yogurt going, and then if I took some of the yogurt from these aunts of mine to get my yogurt going…well, you can see that it’s possible for the laban to live as long as a family does, following the branches of the family tree as far as the tree is willing and able to grow. I may not have children to contribute to the family tree, but I do make laban every week, and can pass the rawbi along as one of my little offerings. It’s possible you’ll find you can’t run next door to get a cup of good strong rawbi from a neighbor, so you can simply buy some whole milk plain yogurt and it will work well for your starter. My mom who is sitting here next to me (that’s her taking a scoop of laban, above) wants me to tell you that you can, if you want, just skip making the yogurt altogether and use store-bought yogurt for the yogurt-cucumber salad. But Mom, I said, that’s the whole point—it’s a blog with recipes. But honey, she said, people are busy. And she is right. This salad is delicious on its own or as a side dish with lamb, chicken, fish (especially salmon), lentils, grilled vegetables or even a hamburger if you can get your mind off of french fries, which isn’t easy. The salad stays nice, and the cucumbers crunchy, for a good four days in the refrigerator.Try making your own yogurt, homemade laban, with my recipe here. 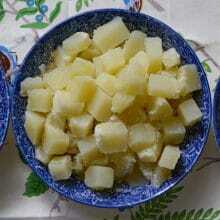 In a medium bowl, combine the yogurt with the garlic, salt, dried and fresh mint. Stir in the cucumbers. Taste to see if it needs more of anything; I usually want more mint. And it’s done! Flavors in this develop over time, so it's best to make this a few hours ahead and chill. 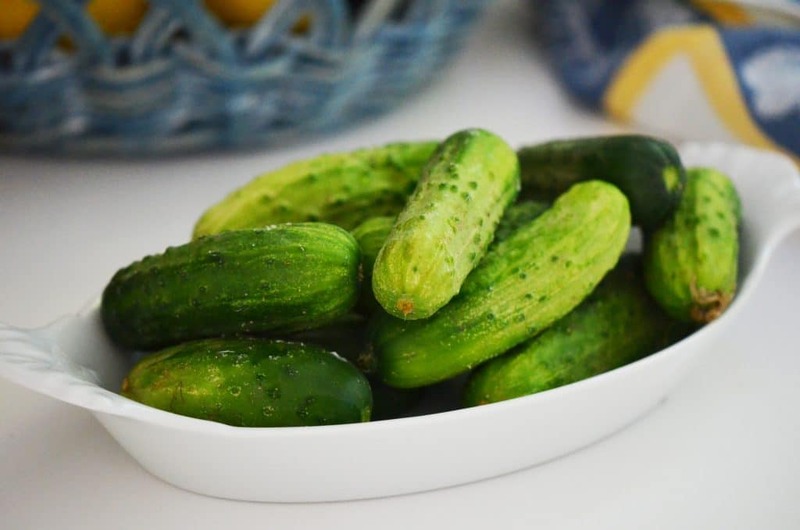 My cucumbers taste so delicious up here in northern Michigan because they come from Bill’s farm, where he has a farm market (it’s like that here: Bill’s Farm Market, Chuck’s Appliances, Mary Ellen’s cafe…). This is my favorite barn at Bill’s. In these parts it’s not so strange to have a favorite barn. 25 Responses to "Yogurt Cucumber Salad with Mint"
How funny! My grandmother’s name was Nabeeha also! I almost named my daughter Nabeeha too, well, good thing I did not and spared her a lifetime of explaining and spelling her name to people (my fate). I was very close to my tèta, and her name is a perfect description of her personality, so wise. That is a great coincidence Joumana! 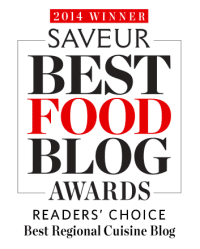 Your site is terrific, http://www.tasteofbeirut.com, such innovative Lebanese cuisine! I love this story, and you tell it well. Maureen, this recipe was fabulous. The kids enjoyed it, too, thinking it was a desert–wow–nicely done in pleasing everyone! Maureen – I’m loving this blog… it’s reminding me of the recipes my own Sitto used to make for me when she was still alive — and some are things she made that I never learned to cook, so it’s a great resource for me too…. bringing back lots of memories. Nice to see a fellow SMCer following their dream! Thanks for sharing! 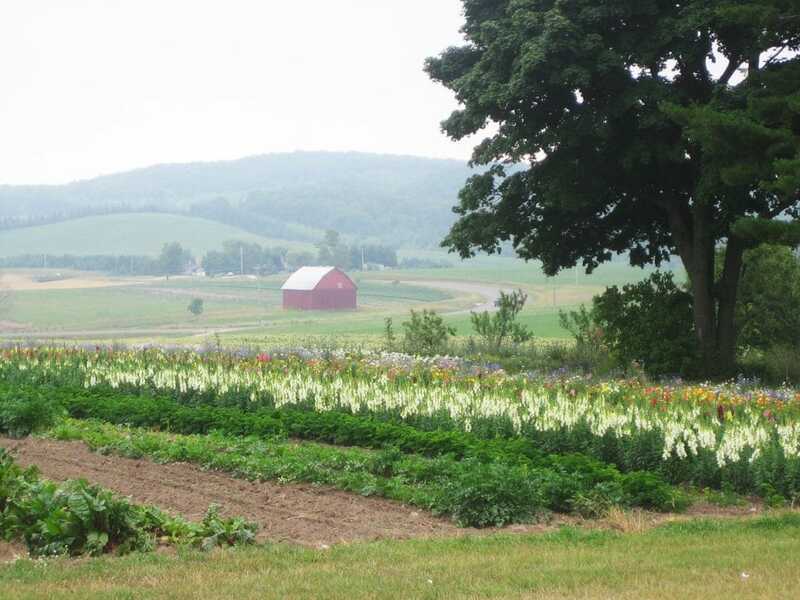 I am imagining that I am sitting on the grass right now, looking out at your favorite barn, eating some laban (instead of sweltering here in NYC). And I can’t wait to hear the rest of your grandmother’s story. Thanks S., I’m right there with you!! Hey you! Loving your blog. Wondering if you’ve ever made your yogurt with anything other than whole milk…2% or 1%? Will it work? Possibly take longer to drain into labneh? Hi Rose, I did respond to your comment the other day–sorry you didn’t see it. I am posting most days–you can subscribe to receive emails about my posts by signing up in the Subscribe field at the top of the right column. My mom sends her warmest regards to you! Thank you for reading! Maureen….I love your recipies and sharing about your family history. You take me back to when my mom was alive. I remember as a little boy watching her make luban in the kitchen. She would set it on the floor next to the stove with a towel over it and tell me to stay away from it. She said any slight disturbance will not let the luban set properly. I love your shares and the feelings I get from them. Keep up the great work! My Sittoo’s name was ALSO Nabeha! Guess it was a common name at the time! She was known informally as Dolly, but she always wore a gold brooch pin with an “N” in script on most of her dresses. Your blog is just wonderful and I strive to emulate your easy style of story telling. Namaste! Thanks so much Stacia for your kind words–and how great about Nabeha/Dolly and her golden “N” brooch! 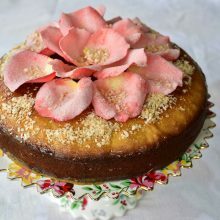 Hi Maureen, I am trying this recipe today, my mother-in-law came from Lebanon, her name was Neuhad. She has passed on now, but not without leaving me with many good recipes and good times together. Your story makes me wish she was here to help me. Just love that, thank you! I make something quite similar using beets. I am glad my husband found your site for me. I started cooking with my Sito very young. I remember her starting with 25# of flour and kneeding it with her arthritic hands to make fataya ?sp. Your recipes seem to be very similar to mine. My Sito left me some handwritten recipes… they all start with 25# s of flour. Lanny, I love that and I’m so glad to have you here! Your Sitto left you a real gift. Thanks for being here and keep in touch!